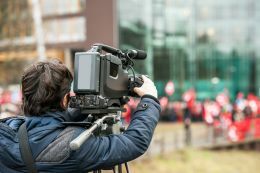 Videographer Equipment Liability Insurance in Hendersonville Tennessee - Covenant Insurance Agency, LLC. The most common type of policy for Videographers in Tennessee is a Business Owner Policy or (BOP). This will protect your studio in a similar way that a homeowners policy will protect your home. There are a few basic coverages that many small businesses need including a videographer. At Covenant Insurance Agency, LLC., we will help you evaluate the overall picture and make the right decisions based on your risk. Give us a call today!